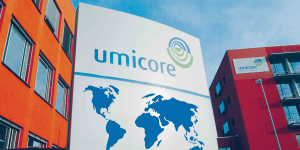 Umicore of Belgium is planning to ramp up its recycling facilities to process electric vehicle batteries. The strategy corresponds with an expected surge in demand for electric cars. Umicore scheduled the expansion for the next decade. Apart from investing in recycling facilities, Umicore is also expanding their production facilities for electric vehicle batteries. Earlier this year, the Belgian group had raised close to 1 billion euros to grow their cathode production reportedly. The facility is under construction in the Polish town of Nysa. The battery factory will create up to 400 jobs in the first phase and is planned to go into operation by the end of 2020 (we reported). Umicore has not disclosed any further details like cost or location on their planned battery recycling facility.